Thanksgiving is around the corner and if you want to have a home-cooked turkey, you may think about your “Home away from Home” ACC ‘s Turkey Take-Out. Our culinary team has perfected a traditional American recipe to give you the best turkey this Thanksgiving. 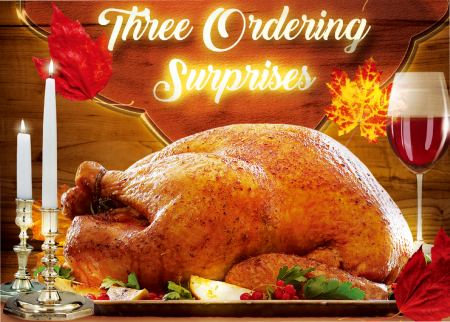 Ordering a turkey or ham before Sunday, November 11, and receive a 5% discount! Purchase a turkey or ham, and receive a complimentary specially-made ACC Insulation Bag!